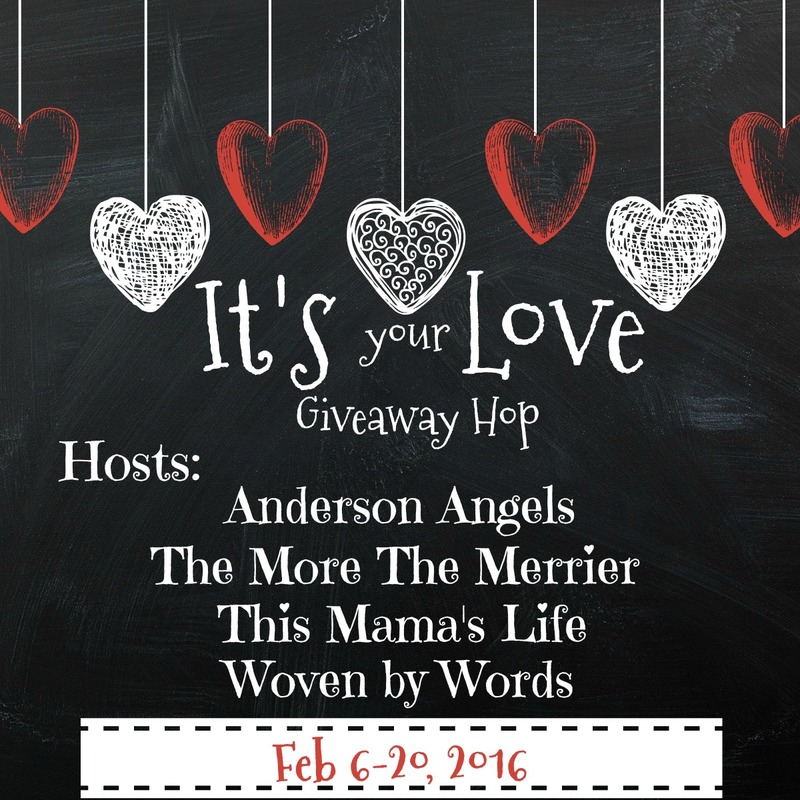 I am excited to announce the next event from Andersons Angels, This Mamas Life, The More The Merrier & Woven by Words! 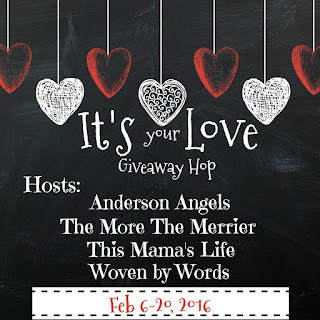 We are excited to bring you a Fun February Event called It's your Love Giveaway Hop. It will run from Monday February 6, 2017 at 12:00pm EST through Monday February 20, 2017 at 11:59pm EST. It's super easy to join in on the fun of getting ready for Valentines Day!